Taking a little break from our bakery sneak peaks to chat about other things going on over here inside the bakery. Last year we kicked it off, and were overwhelmed with the results! We had considered it to be a trial run, but it turned into so much more than that. 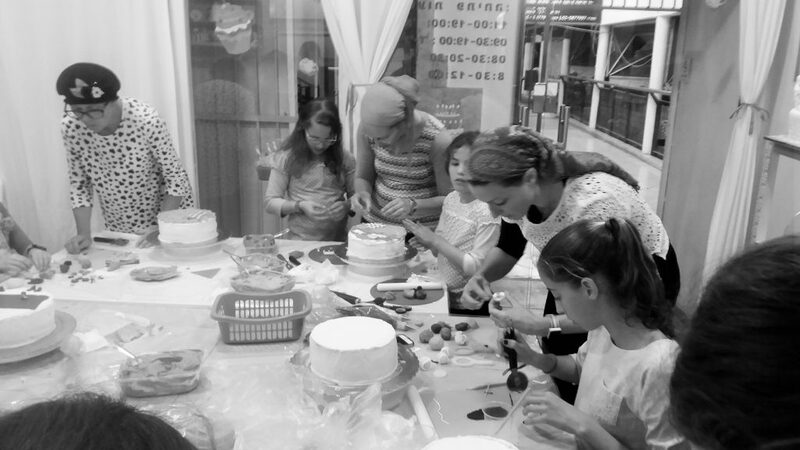 Enter: Kosher Cakery Workshops (a.k.a Chugim). It all started during the spring. With summer creeping up on us, we knew this would be a time to invite the public to the bakery. Not just any invitation. An invitation to create, take home and eat it! With the smell of vacation, camp, and long summer days in the air, we knew it would be the perfect touch. Little did we know how perfect. These special combos create a unique opportunity for bonding, one on one time and of course – a world of creativity and creations, all being poured onto.. a cake! 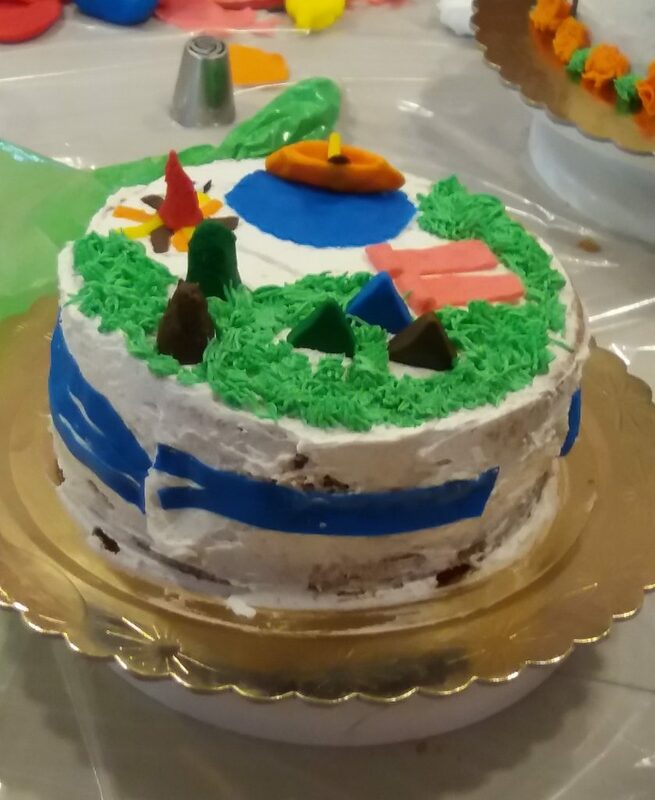 Every participant gets to take home their own, custom made 8″ cake. This year, we have been having and continue to have a blast. We love hosting our community, we love watching the quality time come alive, and we LOVE the inspiration and fabulous cakes that are being created in our very own bakery, every week. If you’re looking for a fun family activity or a night out with friends – give us a call and book a private lesson!